The Montessori Science Academy was founded in August of 2013 by Brian and Almira Wheatley. 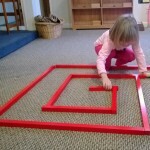 It was founded on the principles of education established by Maria Montessori. It was specifically founded to emphasize Science, Mathematics, and Engineering. Our school provides an environment where children are free to explore, learn, and socialize. Our staff is fully certified and experienced in early childhood education. We offer a variety of customizable options that include before and after care options.